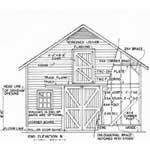 Whether you are looking for goat barn plans, a feeding barn or just general barn plans, all the free plans are listed here. 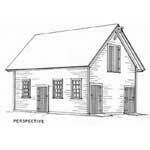 There are lots of available plans and blueprints to build storage barns, tractor barns or even workshops. One of the least expensive barns to build is a pole barn. 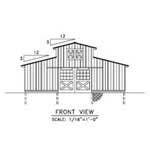 The free pole barn plans are listed on a separate page. 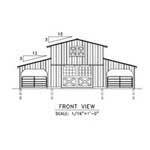 Also click on this link to visit the horse barn plans. 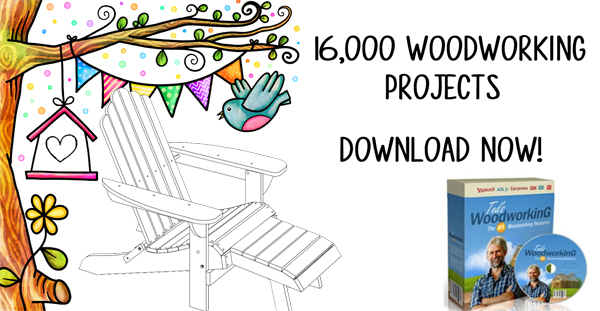 Whichever barn you have in mind to build, start by cutting costs at the very beginning with free plans. 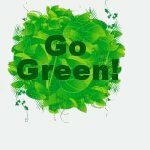 Take the necessary steps to reduce energy, waste, materials and water as you are building the new barn. One goal should be aimed at reducing the quantity of materials that will be headed to landfills during construction. Buildings that are designed with respect to minimizing waste that is produced by its occupants, as providing compost bins, aid in reducing landfill waste. This barn has a feed storage area, milk storage, loose housing with feeding area, kid pens, milking parlor and holding; all in a controlled enviroment. 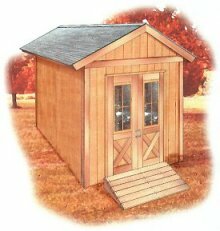 Plans for a general barn with a metal roof, a 16 foot raised center that measures 12 feet wide plus two side sheds measuring 12 feet wide. 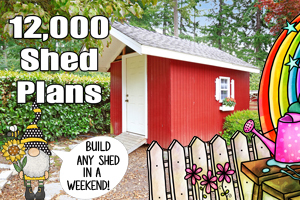 Build a barn with a 20 foot wide center, 2 side sheds that measure 12 feet each, with metal roof. 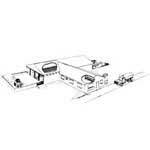 This 24 x 30 foot barn can be built with box stalls, calf pen, cow stall and a feed room. Here is a project for a strong and sturdy structure with a feed room, double horse stall and more. 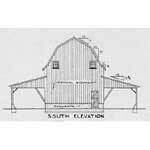 Build a well constructed rafter barn that has braced rafters and measures 38 feet wide. This feeding barn has a gambrel roof, 2 feeding sheds, hay storage and much more. Barn Door Hangers & Tracks - Classic roller hardware will give an "old style" look to your home, carriage house or barn! Large doors easily slide open with heavy-duty hangers and tracks. 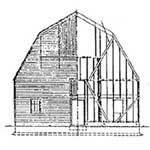 U-BILD Little Red Barn Plan - Framing built mostly from 8 ft. long 2 x 4 studs. 8 ft. long by 6 ft. wide by 8 ft. tall, but can be enlarged.